This chapter investigates the use of computer technology for writing consultations from the tutors' perspective. Tutors' opinions of the hybrid (i.e., a combination of face-to-face and virtual consultations) and the virtual consultation modes in an English writing enhancement service in a university in Hong Kong were collected. Questionnaires were administered to 10 tutors who had used the two consultation modes. It was found that the majority of the tutors were in favor of the two modes, and that they appreciated the benefits of online writing consultations and the text-only consultation platform design. However, they also expressed reservations about replacing the traditional face-to-face writing consultations with computers, because they could not see much increase in tutee-tutor interactions via the two consultation modes. In light of their opinions, recommendations are made to improve the text-only consultation platform and to develop tutors' professional knowledge and pedagogies for online writing consultations. Computers are a useful and effective teaching and learning tool in education, mainly because they provide convenient information access, effective communication, synchronous and asynchronous learning (Sife, Lwoga, & Sanga, 2007), and increased learning motivation (Son, 2007; Warschauer, 1997). 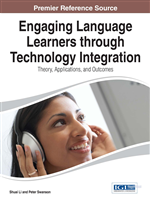 Computer Technology (CT) has been enthusiastically used by language teachers to promote language skills in the classroom. In spite of computers’ versatility and teachers’ enthusiastic use of CT in the classroom, research on the use of computers for instructional purposes beyond the classroom, one aspect of which involves writing consultations, is scarce. This chapter focuses on the use of CT for English writing consultations in the context of higher education. First, the author describes the design of an online English writing consultation system in a university in Hong Kong. Then, she reports on 10 writing tutors’ opinions of two online writing consultation modes — namely, the virtual and the hybrid modes — offered via the Internet. With reference to the collected opinions, the author recommends some areas for improvement in the text-only consultation platform, and in the related social and pedagogical skills for online writing tutors.